1. 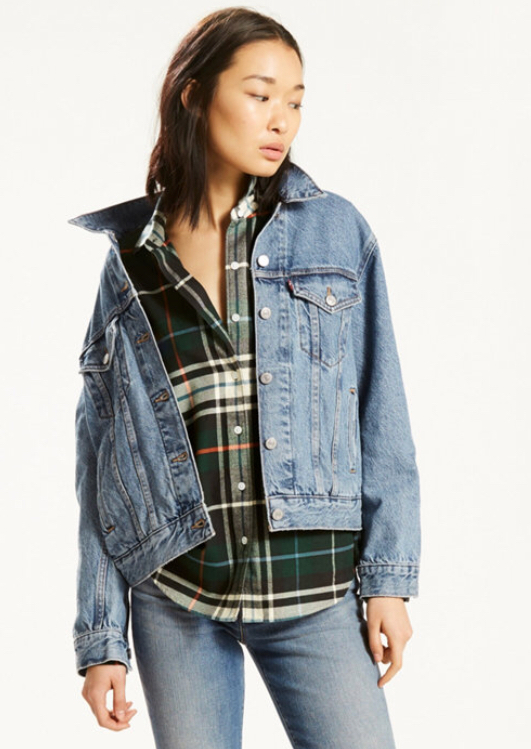 Altered Trucker Jacket: The trucker jacket has been with us for around two years, and it's making its way back into the top 5 stylish looks for Spring 2018. There will be a variety of skewed, oversized, fitted and destructed silhouettes. For even more of a twist to the authentic trucker, there will be more removable straps and detachable sleeves for that more grunge look. There's also talk that the fit of these jackets are going to become a more fitted, corset style, with some frayed seams, for a mix of modern and grunge. 2. 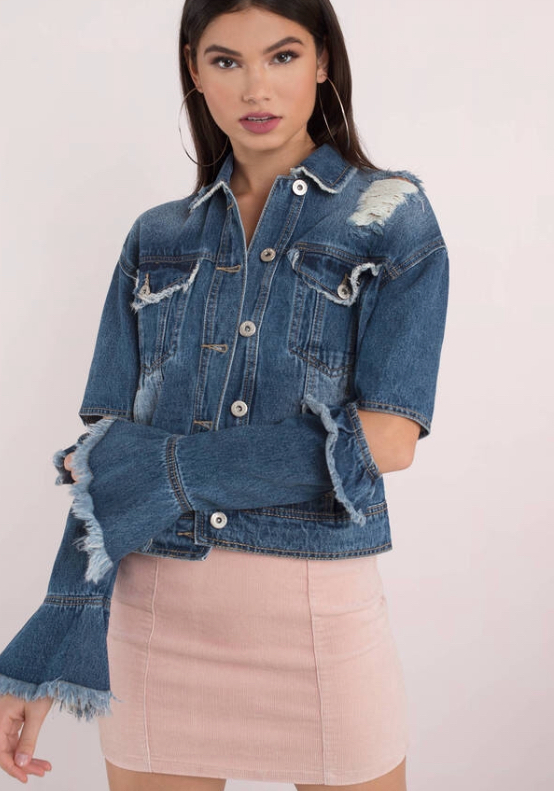 Raw Denim Jacket: Denim jackets have been a staple piece in wardrobe forever! This spring, there's going to be two paths you can take for denim jackets. There's the contemporary, clean indigo jacket or the two toned jacket. The clean indigo jacket can only go so far within a look, making two toned denim the way to go when trying to spice up an outfit. The two toned denim will break up the solid color looks, while the stitching can highlight anything from pockets to collars to seams. 3. Denim Bralet: The denim Bralet is going to be something completely new for Spring, giving off a more playful style to the head-to-toe denim looks. The premium denim look to go for is going to be contrasting top stitching against polished denim. The Corset fitted style with an undone, raw hemline is going to be the more "playful" look. The Boudoir style is going to have the most sexiest appeal to it. 4. Layered Jeans: The layered jean look is something that is going to be completely new in the category of spring fashion. This updated layered look is all about the exposed pocket linings, layered ruffles, and even shorts or skirts over denim turned inside out! 5. Crop Flare jeans: The crop flare jeans are an important look for designers as they are evolving into more contrasting denim. In the past, there has been a focus on specifically the hemline of the jeans and the frayed details of the jean. This spring, the crop flare jeans are going to be highlighting the waistband, front pockets, hemlines and sideseams.